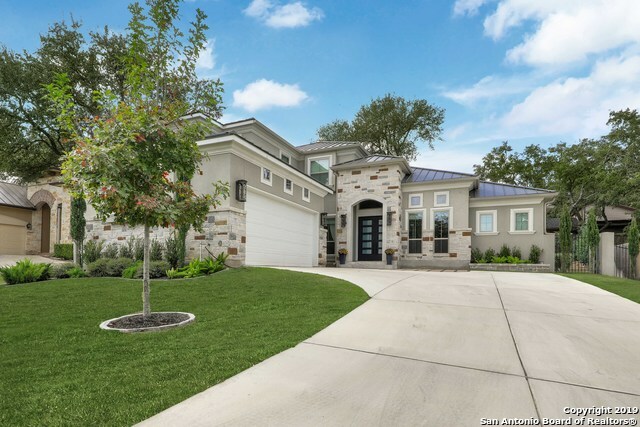 All THE ELMS homes currently listed for sale in San Antonio as of 04/20/2019 are shown below. You can change the search criteria at any time by pressing the 'Change Search' button below. "Hidden away in a gated enclave inside Loop 1604.Features the sophisticated upgrades you should expect in a newer custom home.Ultra-functional layout showcases high-end designer lighting, plumbing fixtures & hardware. The master suite and powder bathroom rival any 5-star hotel and the marble tile/surfaces, wood floors, custom millwork, multi-room audio system, etc. only add to the luxe aesthetic & feel.Outdoor entertainment space is perfect for a cocktail pool or low-maintenance."